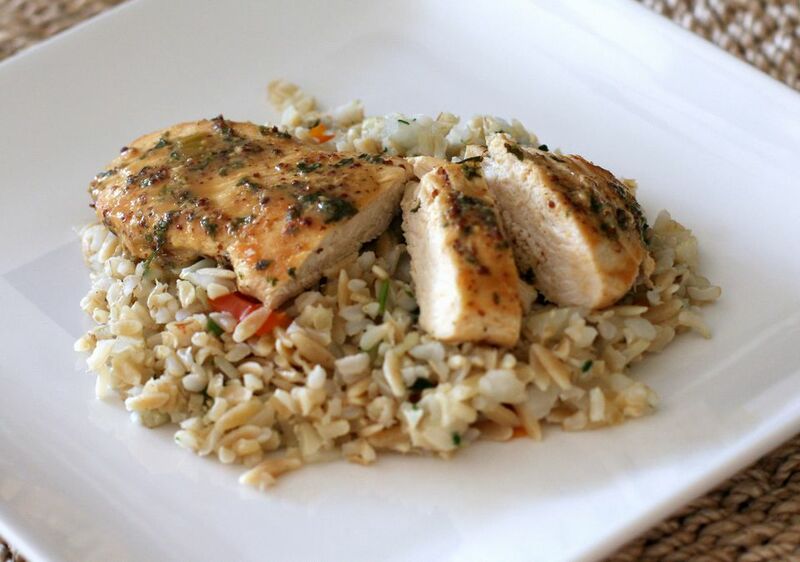 This easy skillet chicken is nicely seasoned with some fresh or dried basil and tarragon along with Dijon mustard. Slice large chicken breasts horizontally to make two thin cutlets or place small chicken breasts between sheets of plastic wrap and pound them gently until they're slightly thinned and even in thickness. If you don't use thin cutlets, allow more simmering time. Chicken must be cooked to a minimum safe temperature of 165 F.
Serve the chicken with hot cooked rice or baked potatoes along with green beans or greens. Sauteed kale or a spinach dish would be excellent with the Dijon chicken. In a small bowl, combine the chicken broth, wine, Dijon mustard, basil, tarragon, and pepper. Set aside. Spray a large skillet with nonstick cooking spray or coat with a little butter or oil. Heat skillet over medium-high heat; add chicken. Sprinkle lightly with kosher salt. Cook chicken for about 2 to 3 minutes on each side, or until lightly browned. Remove skillet from the heat; carefully add the seasoned broth and wine mixture. Bring to a boil; reduce heat to low. Cover and simmer for about 5 minutes, or until chicken is tender and cooked through. Remove the chicken to a warm serving platter and keep warm. Boil the pan juices for about 1 minute to reduce to about 1/4 cup. Pour the reduced juices over chicken. Serve with rice or potatoes and a green vegetable. Replace the tarragon with an equal amount of fresh or dried oregano or marjoram, or with 1 teaspoon of fresh snipped chives.